To go viral is like winning the social media jackpot. When your followers love your content enough to share it with everyone from their grandmother to their 2nd grade teacher, you know you've hit it big. Going viral cements your spot in the social realm's of fame next to the likes of Harlem Shakers and that old Spice Guy who's sitting on a horse. Standing out in the social media realm is a high stakes game. The secret is making your content more share-worthy! 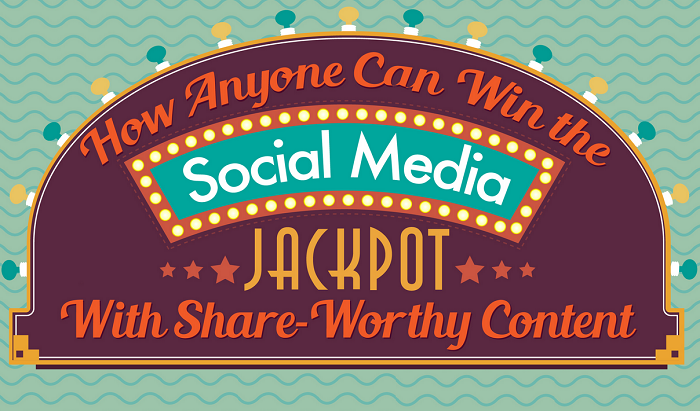 This infographic from wsiworld team, delineates how anyone can win the social media jackpot with share-worthy content. Become a storyteller: Narratives capture people's attention, so hook them in! Appeal to an emotion. Communicate your point by creating an experience or a feeling. Your message will become valued an shared.